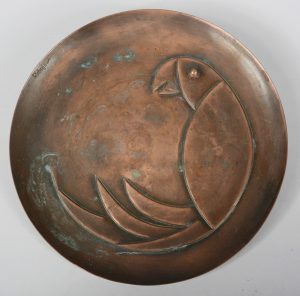 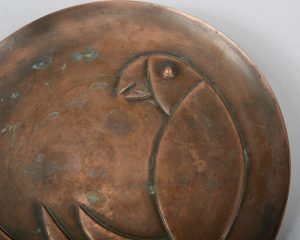 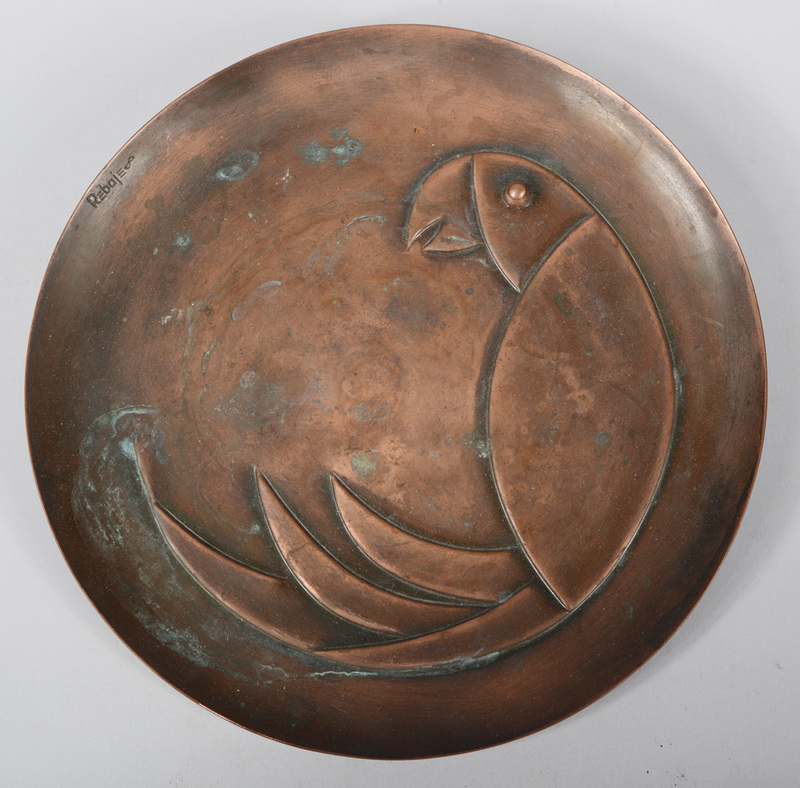 Modernist copper plaque by Frank Rebajes. 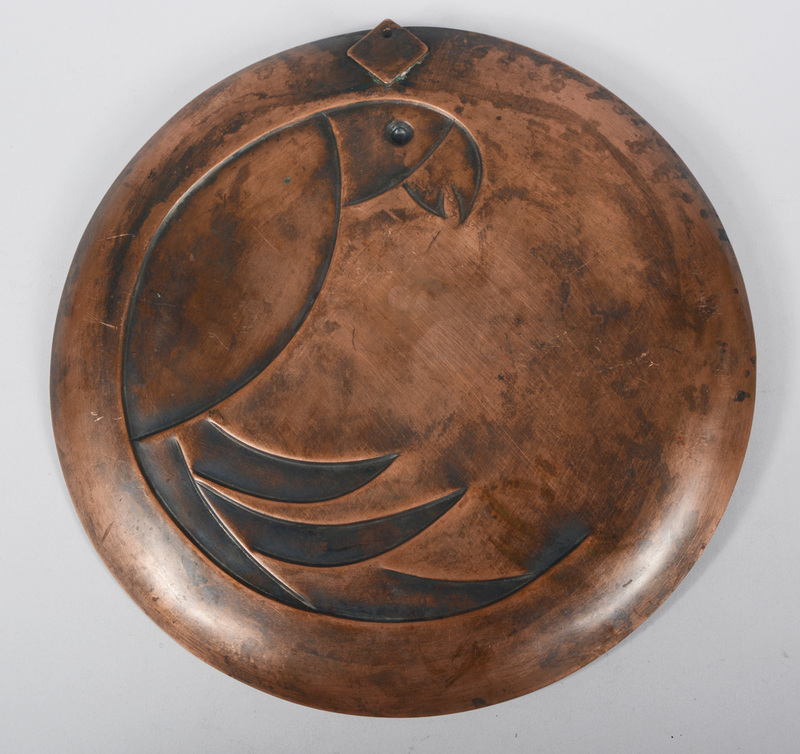 This has a stylized parrot in relief. 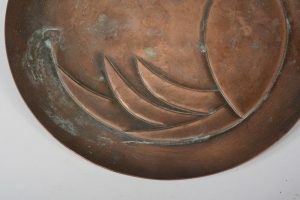 The tray is signed Rebajes. The original finish was polished at some point. There is a little oxidation in spots.